D.L. Moody— There has never been a time in my life when I felt that I could take a gun and shoot down a fellow being. In this respect I am a Quaker. C.H. Spurgeon— The spirit of war is at the extremely opposite point to the spirit of the gospel. I wish that Christian men would insist more and more on the unrighteousness of war, believing that Christianity means no sword, no cannon, no bloodshed, and that, if a nation is driven to fight in its own defence, Christianity stands by to weep and to intervene as soon as possible, and not to join in the cruel shouts which celebrate an enemy’s slaughter. Menno Simons–– All Christians are commanded to love their enemies… Tell me, how can a Christian defend Scripturally retaliation, rebellion, war, striking, slaying, torturing, stealing, robbing and plundering and burning cities and conquering countries? 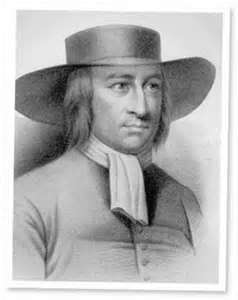 George Fox–– I…denied the drawing of carnal weapons against…any man on earth; for my weapons are spiritual, which take away the occasion of war, and lead to peace. 1660 Declaration to Charles II (by original “Quakers”) We utterly deny all outward wars and strife and fightings with outward weapons, for any end or under any pretense whatsoever. And this is our testimony to the whole world. The spirit of Christ, by which we are guided, is not changeable, so as once to command us from a thing as evil and again to move unto it; and we do certainly know, and so testify to the world, that the spirit of Christ, which leads us into all Truth, will never move us to fight and war against any man with outward weapons, neither for the kingdom of Christ, nor for the kingdoms of this world. Printed quotes on video with music background. Awesome brother. I am going to share some of these quotes on my facebook page. Shalom. Please help increase this list of quotes by adding comments here. Thanks, Michael. These are terrific! May I humbly suggest, however, that they outline a Jesus Followers’ Scriptural requirement to wage peace, not war … non-violently. Jesus was in no way a passivist, in my opinion. Thanks, Gary, I agree. I have not heard anyone describe Jesus as passive. But I have heard people confuse the two words passive and pacifist which have no relationship at all. And no one could rightly describe Moody or Spurgeon as passive. Great material… thanks for sharing! Wow, great stuff. Do you have a source I can refer to for the AOG one? Most pentecostals I know are pro-war in the ‘right’ circumstances – whatever that means. Also, I always ask the question (but get an evasion instead of an answer) to this: is it loving your enemy to kill them? Do you consider that they may not even know Christ and you are consigning them towards hell because of war? Bookmarked and will be coming back for more!